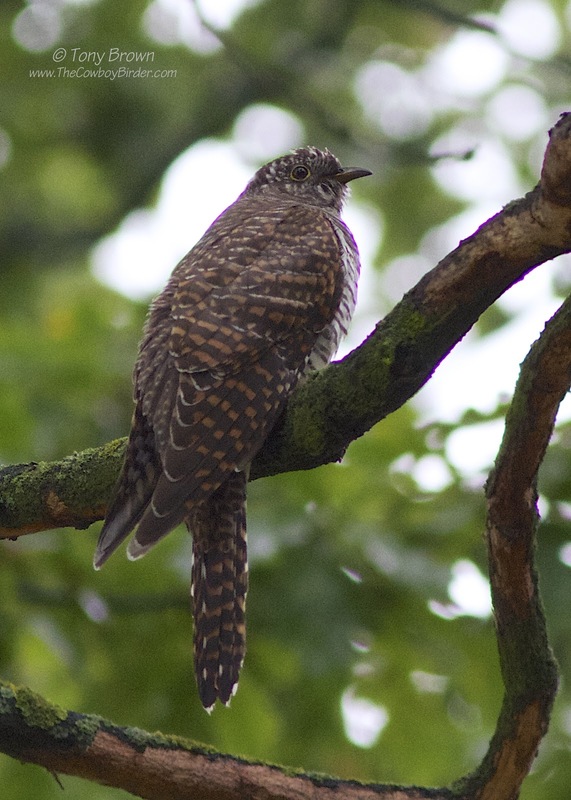 The Cowboy Birder: It's all gone Cuckoo on Wanstead Flats! After connecting early with the Red-necked Phalarope on the south basin of KGV reservoir (no point posting any images - far too distant in the murk) I headed to Wanstead Flats in search of some more Flycatcher action. "Crake sp in the brambles east of Long Wood" - whaaaat!! Rushing over to Long Wood I quickly found Nick, Bob and Steve looking into and around the said area, but it soon became evident the bird was probably deep within the thicket and any thoughts of a planned flush was virtually impossible, after getting bored watching and waiting I moved on - I then saw Bob frantically waving his arms! He had seen in flight what he had thought was Mr Crofts Crake and it had landed in a large area of long grass - a plan was hatched for the four of us to walk in a line through the grass in hope of flushing the bird to at least get some decent flight views and ultimately clinch its ID - up and down we went, but despite our efforts in the constant rain through long soaking wet grass - nothing! Further discussions with Bob who had had some time to digest what he had seen in flight and his thoughts were moving more in the direction of Quail - did we now have a Crake and a Quail on the Flats on the same morning - bonkers. Whatever Nick and Bob had seen I saw neither, and was keen to see what else the bad weather had brought down onto the Flats. 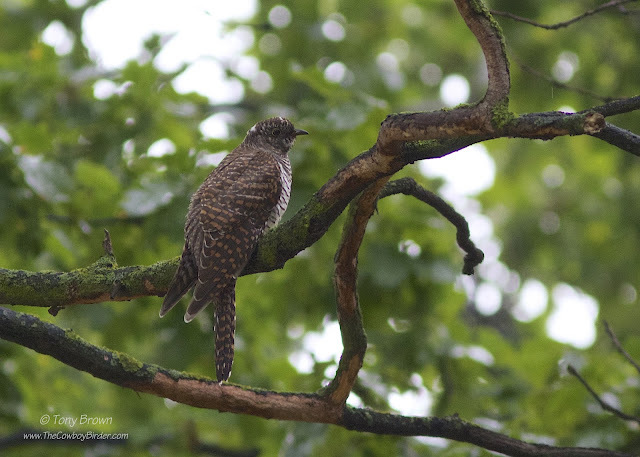 I was soon rewarded with this fine juvenile Cuckoo sheltering amongst the branches of centre copse (a patch first for me) and more than compensation for getting a thorough soaking! I also added Tree Pipit and at least three Spotted Flycatchers to the mornings totals, along with a healthy sprinkling of Phylloscopus and Sylvia Warblers, but failed to connect with any Pied Flycatchers. With the east coast picking up a bounty of scarce and rare migrants on the back of this weather system, the autumns birding excitement has well and truly kicked off in style - roll on the rest of the long bank holiday weekend.